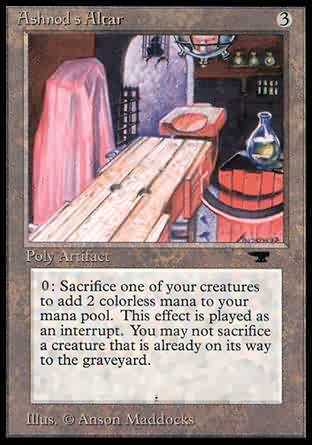 0: Sacrifice one of your creatures to add 2 colorless mana to your mana pool. This effect is played as an interrupt. You may not sacrifice a creature that is already on its way to the graveyard.